Updating my notes for the class on the history and culture of the Qing dynasty. 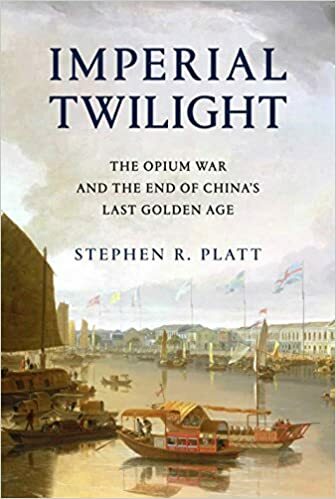 Going over Stephen Platt’s books on the Taiping (Autumn in the Heavenly Kingdom) and the Opium War (Imperial Twilight) as a literary detective. Most of the undergrads enrolled in the course are not Chinese majors and Platt’s tone and narrative strategies work great as models to reach that kind of audience.